Question: Do you offer free in home estimates? Answer: Yes! 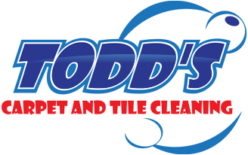 At TODD’S CARPET & TILE CLEANING we offer free in home no obligation written quotes for our services. At this time we will walk through and do the pre-inspection with you so you can show us exactly what you need to have done and we can address your areas of concern. We will let you know up front exactly what we are able to do for you. We believe in being 100% honest with you on what you can expect from the cleaning process. We do not believe in using high pressure sales tactics and want you to feel comfortable at all times. We have a No Hidden Charges Policy and will give you a detailed exact quote for the services requested. If you prefer a phone estimate we will do our best to give you an accurate price. All phone estimates are subject to verification and adjustment upon job inspection, a firm written quote will be given before any work is done. Answer: As a general rule carpets are dry in 4 to 6 hours. Certain conditions such as high humidity or heavy soiling or really thick carpet may cause the carpet to take longer to dry. We recommend running any ceiling fans you have to help speed up the drying process. Question: How long do I have to stay off the carpet after the cleaning is done? Answer: It’s best to stay off the carpet as much as possible while the carpet is drying. Generally carpets are dry within 4-6 hours but depending on conditions it may take longer. If you need to walk on the carpet while it’s still wet we recommend removing your shoes. Please remember also that if you walk on wet carpet your feet will get wet and when you step onto a hard surface such as tile, hardwood, or any similar surface it will be slippery so please watch your step and don’t fall. Answer: Upon request we will move and clean under easily moved furniture. We will move items such as sofas, chairs, coffee tables, end tables, night stands and other easily moved items. We ask that you remove any items from the tops of any tables you would like us to move prior to our arrival. We do not move items such as beds, dressers, heavy desks, china cabinets, electronics, or anything easily breakable. In the case you want the carpet under a bed cleaned if you will strip all the bedding before we arrive we will stand up the mattresses and clean under the bed for you. Question: Do you include stain removal? Answer: We do our best to remove all the stains we can, a lot of times stains come right out with our pre-treatment and spotting procedures included in the price of the cleaning. For stubborn stains we will use the appropriate spotters and do our best to remove them. We make every effort to remove all the stains but unfortunately some stains just will not come out. For any stains that are not removable we offer carpet repair services including cutting out stains and patching new carpet in (either taken from remnants you have or possibly taking a small piece of carpet from a closet or other inconspicuous area with your approval. Any repairs are done at an additional cost. Some stains such as red stains, paint, and wax require extra time and attention. If you have just one small stain that can be removed in a minimal amount of time (less than 5 minutes) there is no extra charge, but in the case that there are extensive stains requiring an extended amounts of time there will be an additional charge which will be discussed during the pre-inspection before any work is done. Question: How much is your minimum charge? Question: What is the size limit for a room of carpet before the price goes up? Answer: 200 square feet. If a room is larger than 200 square feet the price will be pro-rated accordingly. Question: How often should I clean my carpet? Answer: It will vary from house to house, we recommend at least a yearly cleaning. 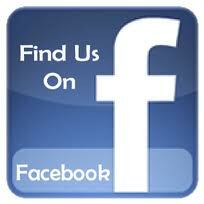 Homes with pets and children or high amounts of traffic we recommend cleaning every 6 months.